OK . . . OK . . . I KNOW . . . CHEESE BALL . . . REALLY?!?!? YES REALLY! 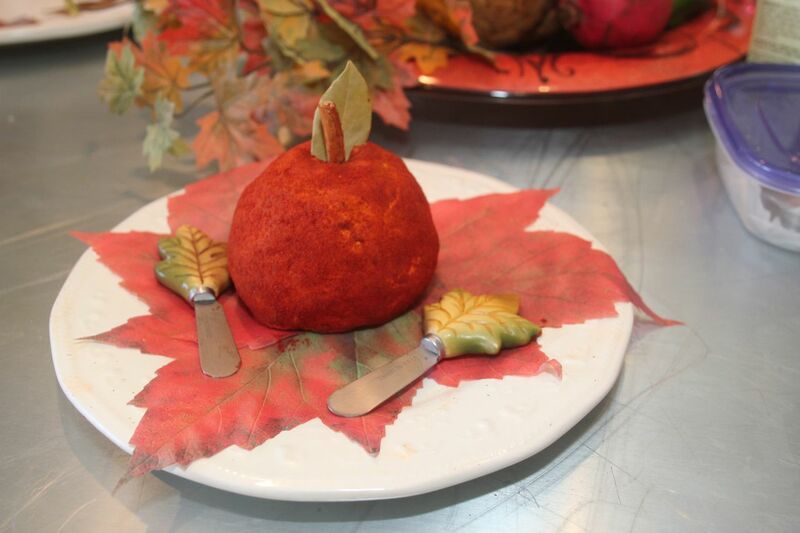 This Cheese ball (apple) is great tasting and . . . it’s fun to make! I love to have it ready at the beginning of my cooking classes or at a social gathering. I just serve it with some wheat or multi-grain crackers . . . . really, almost anything will go well with it. It works great to have something there that my guests can “nosh” on while they are waiting . . . for whatever they’re waiting for. 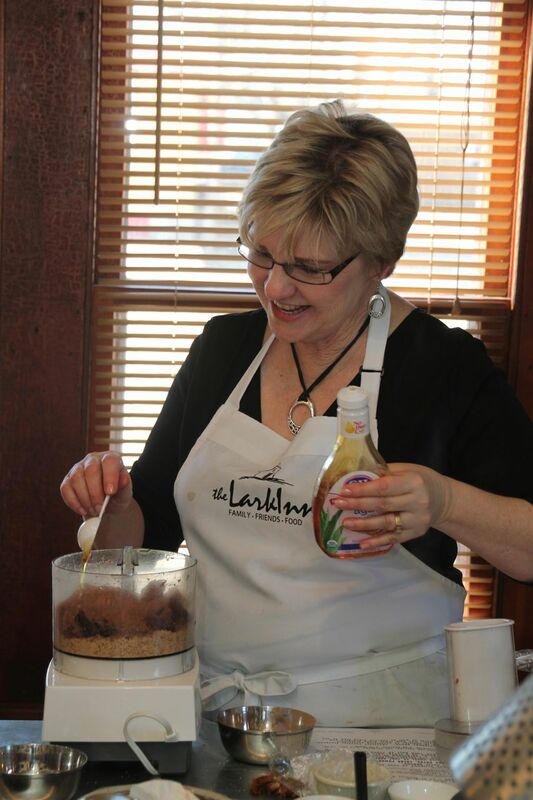 We made this in our Lark inn Cooking Class last October and it was a big hit. Enjoy! 1. Process first 4 ingredients in a food processor until smooth, stopping to scrape down sides. Chill 30 minutes. 2. Shape cheese mixture into a ball, and make an indentation in the top to resemble an apple. Chill ball 30 minutes. 4. Insert cinnamon stick and bay leaf into indentation to resemble apple stem and leaf. Serve with assorted crackers or Cheddar-Pecan Shortbread leaves. If this was interesting to you, visit my web site and check out a cooking class that works for you.